Why the continuous monitoring of conservation in the National Park? Lower Oder Valley National Park is Brandenburg’s only national park and unique nationwide as the only river national park. Its territory stretches for about 50 km along the Oder, which marks the boarder between Germany and Poland. Since the foundation of the National Park in 1995, the area that was previously used for intensive agriculture has changed considerably due to the lack of or extensive farming. The Lower Oder Valley National Park Act (NatPUOG 2006) describes the protective purpose and development goals, which are pursued by the designation of the lower Oder valley as a large conservation area. A documentation of these processes and changes is legally anchored within it. The continuous monitoring must clarify the degree to which the conservation and development goals are achieved, and simultaneously observe national and international requirements (national biodiversity strategies, Federal Conservation Act, IUCN, Natura 2000, EU-WRRL)and comply with their reporting requirements. In addition, the programme facilitates fundamental research, in which the change from land previously used commercially to near-natural habitats hardly affected by humans, is documented in order to better understand these processes and their effects. The results of the continuous monitoring are issued in regularly published reports the next publication is planned for 2018. What goals are being pursued? In § 3 of the Lower Oder Valley National Park Act, the protective purpose of the National Park is defined. The purpose is to “protect, maintain and preserve the floodplain landscape with its species-rich animal and plant population, the numerous wetland habitats, pastures and lowland forests as well as the hillside forests accompanying the flatlands in combination with other forests and the dry grasslands and to develop it naturally” (§ 3 para. 1 NatPUOG). Methods and Parameters – How are the data collected and evaluated? What parameters are considered? Project set-up and Employees – Who coordinates the project? How are the data collected and evaluated? 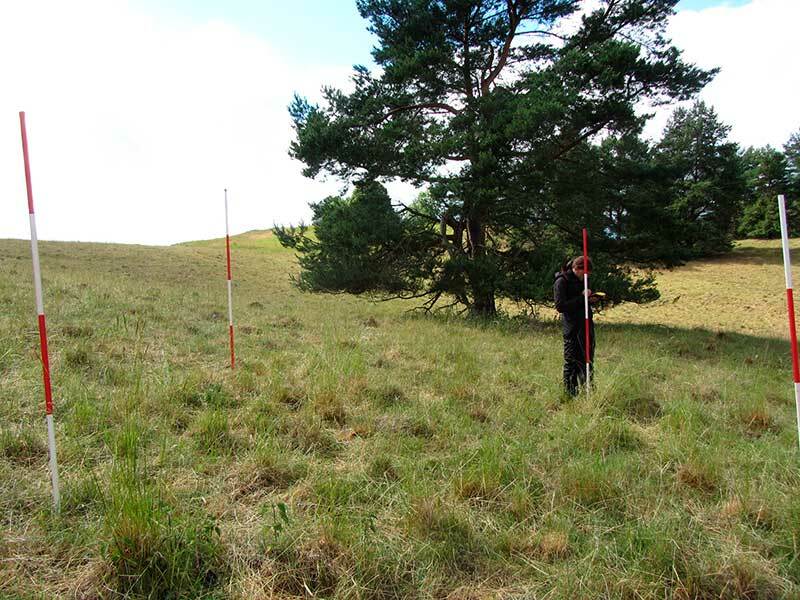 The analysis programme and the collection methods for the continuous monitoring of nature conservation in the Lower Oder Valley National Park (NLPUO) are described in detail in the Methodenkatalog zum Monitoring – “Catalogue of Methods for Monitoring” (Luthardt & Grübler 2011). The research programme was created at the HNEE Eberswalde in 2011 and adopted together with the National Parks Administration. Since this is a new methodological development, the programme is verified annually and, in justified cases, the programme is changed, expanded and adapted. A description of all the methods applied would be too detailed at this point. If you are interested, please contact us. Documentation of general landscape processes (changes in the biotopes, dynamics of the floodplain areas, developments wood coverage in time and space). 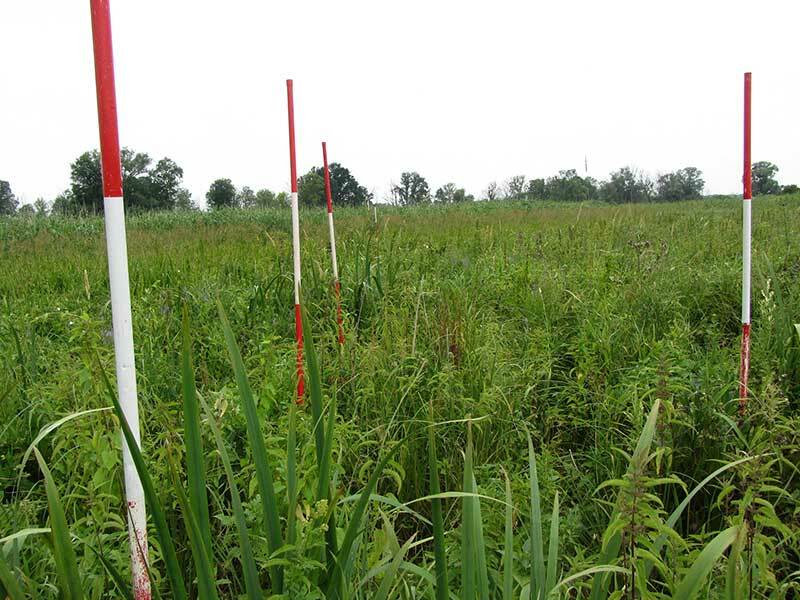 On transects (T), changes are examined in detail as cross-sections through the floodplain via differentiated wetlands, soil types, land use or succession. Also in river polder systems, a river affects landscape-changing processes (albeit to a much lesser extent than in a natural floodplain). 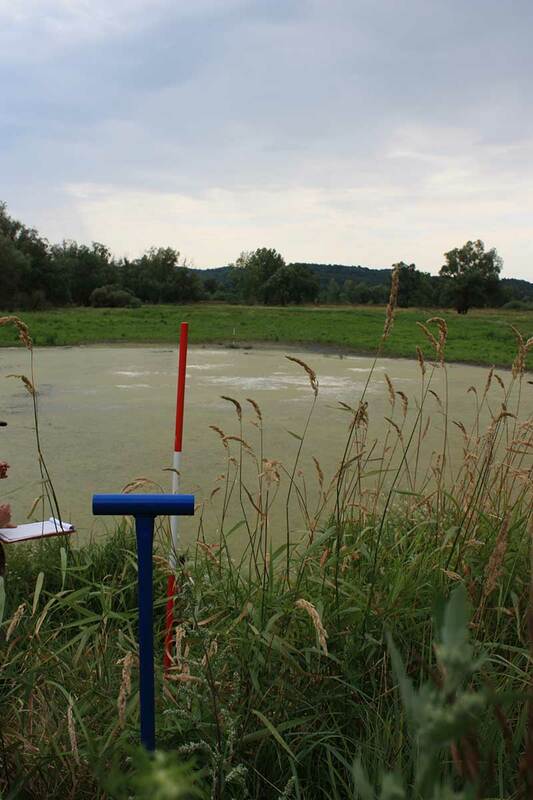 Water quality, flow rate and speed and material load of the Oder are included in the monitoring evaluations. Individual continuously monitored areas (individual areas: IA) are examined in order to document the differentiated development of selected ecosystem types in the National Park within the ecosystem’s context across the various compartments (grasslands, reeds/reed beds, shrub lands, still waters, forest areas). The monitoring goals of these four groups are summarized in the boxes below. In addition, parameters were set (and according to which methodology and at what interval these should be collected) for each monitoring goal. You can find the details in Part B of the Luthardt & Grübler (2011) prepared Methodenkatalog for the continuous monitoring of nature conservation in the Lower Oder Valley National Park. 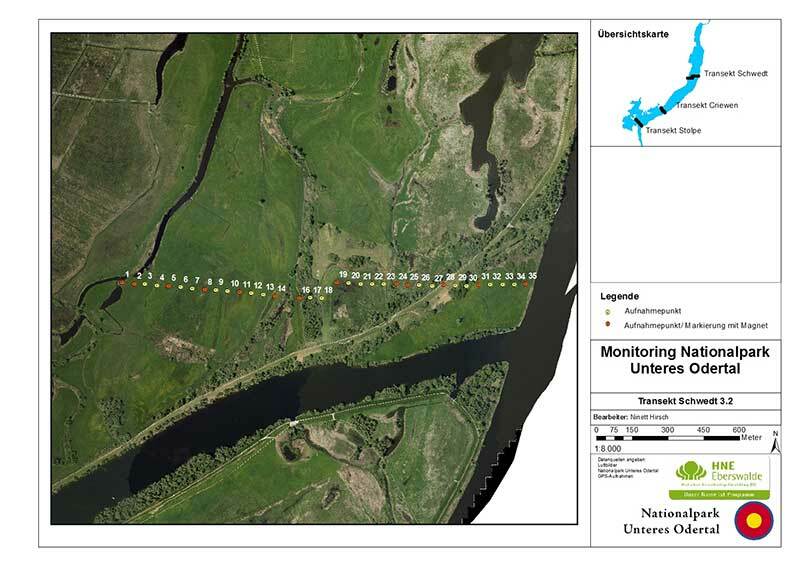 The results and findings of the continuous monitoring of nature conservation in the Lower Oder Valley National Park do not only serve the further development of the National Park’s management. They are intended to contribute to the scientific and nature conservation-specific discussion and to be debated in exchange with experts in order to draw conclusions for practice and research. 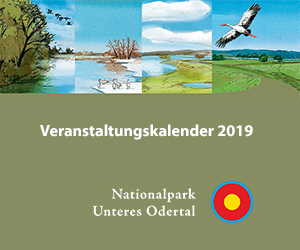 Therefore, the results are presented at conferences and the administration of the National Park organises events in the lower Oder valley to promote this exchange. If you are interested in a presentation of our results at your event, please fell free to contact us. The next event is planned for summer 2017. We will inform you about the detail here in a timely manner. The programme and collection methods were developed at the HNEE in 2011 (Luthardt & Grübler 2011) and adopted together with the National Parks Administration. Since the programme set-up is a new methodological development, the concept is verified annually and, in justified cases, is changed, expanded and adapted. The recording and evaluation work is coordinated and also partly carried out by the employees of the HNEE. The majority of the field surveys are handed over to external partners who possess the necessary expertise in the desired field. Some monitoring tasks are also carried out by the National Park Administration staff, the Nature Guard or volunteers of the national park and NGOs active in the national park. Beyond that, data from external sources were obtained, such as the weather data from the German Meteorological Service (DWD), data on air quality from the Land Office for the Environment (at that LUGV, now LfU) and the water quality measurement of the river water from the Waterways and Shipping Administration (WSV). The funds for the continuous monitoring of nature conservation are made available by the National Park Administration of the Lower Oder Valley from the budget of the state of Brandenburg.